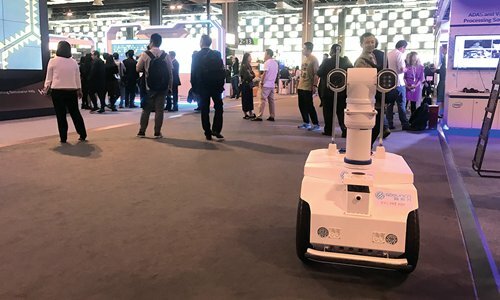 During Huawei Connect 2018, an annual conference held by Chinese tech company Huawei Technologies in Shanghai from Wednesday to Friday, the firm unveiled for the first time its artificial intelligence (AI) strategy and confirmed that it has been working on AI technologies lately. Analysts and industry representatives were surprised to find out that the tech giant, which used to be hardware-centered, has now taken AI seriously by investing heavily in AI fundmental research and applications. At Shanghai World Expo Exhibition and Convention Center, some attendees were excited to find out they do not need an umpire while playing table tennis, an artificial intelligence (AI)-powered visual tracking and recognition system could count scores, identify which player breaks the rules and who is the winner. It was just one of many vivid scenarios to show how AI technologies make people's lives much more fun. AI is now widely considered a disruptive technology that will reshape industry. Shenzhen Airport, located in South China's Guangdong Province, is expected to handle 50 million passengers in 2018 and 1.1 million tons of cargo, Zhang Huai, chief information officer of the airport, told the audience during Huawei Connect 2018 (HC2018) in Shanghai on Thursday. "With such complex scenarios, we hope that AI technologies can help facilitate the boarding process," he said. Empowered with AI-powered facial recognition, the airport checkpoints see queuing time shortened by 15 percent in average, Zhang said. China is now aggressively executing a thoroughly designed vision for AI, and in some areas, it is clearly beating the US, its major rival in the field, according to the CB Insight report AI Trends to Watch in 2018. And prominent technologies fueling China's AI growth are facial recognition and AI chips, the report said. Chinese tech giants such as Baidu Inc, Alibaba Group, and Tencent Holdings have been investing heavily in the AI sector in recent years. Hardware equipment provider Huawei has recently unveiled its AI strategy that aims at covering all scenarios. "Although there's a bubble in the industry, we still believe AI is the future trend, which is the reason behind our investment in the sector," said Xu Weiwen, Huawei's chief marketing officer, during the conference. Huawei announced its full-stack AI strategy on Wednesday which includes delivering abundant and affordable computing power, providing an accessible AI platform, and developing an open ecosystem. Meanwhile, it unveiled a new chipset series called Ascend that can be used in cloud services, edge computing and Internet of Things (IoT). Shenzhen is one of the pilot cities engaged in the smart city program in China. AI optimizes workload and efficiency in traffic law enforcement in the city. 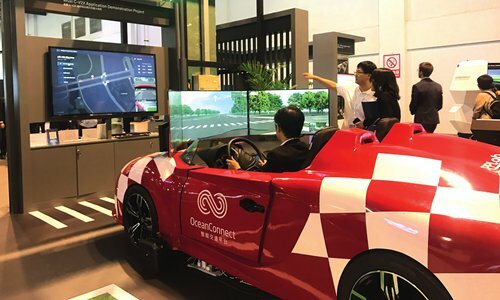 For example, to tackle traffic congestion, Shenzhen police, which have teamed up with Huawei, introduced the TrafficGo solution in the city. It has so far been implemented at eight intersections and is currently planning for another 43. AI technologies could help monitor traffic and optimize traffic signals, so that the average waiting times at intersections can be shortened on average by 17.7 percent, Li Qiang, an officer from Shenzhen Police Bureau, said at the conference. "Traffic accident fatalities dropped from 416 in 2016 to 346 in 2017, and AI technologies make public transport safer and smoother," he said. As AI has a profound impact on different industries and its developments will yield trillion-dollar benefits in the next decades, Huawei is seeking to build up an ecosystem that incorporates devices, networks and cloud services and provide long-term AI solutions for governments, companies and individual developers. "On one hand, Huawei's shift toward AI will inject new energy to AI industry in China, on the other hand, it is likely to reshape the sector by leaving less room for small and medium-sized companies," Xiang Yang, an analyst at Beijing-based CCID Consulting, told the Global Times on Wednesday. When attendees passed by a stand at the convention center, which is equipped with several Huawei smart surveillance cameras, their detailed personal information will automatically appear on a screen. "Compared to other domestic companies such as Hikvision and Face++ that work on facial recognition technologies and develop smart video surveillance systems, we have a more comprehensive system - from software and algorithm development to network construction," a Huawei employee told the Global Times on condition of anonymity. "However, I don't think it will spark competition among players, as there are still problems with AI development and a wide cooperation is the way to progress," he said. Every business has its own boundaries, Xu, the company's CMO, told the Global Times. "We mainly eye on the establishment of an AI platform, which needs support from other companies. Meanwhile, we need to make sure that this platform is fair and open," he said. For example, in the public cloud service business, Huawei will not tap into dataset, and will not touch on applications, which are third parties' assets, Xu noted.